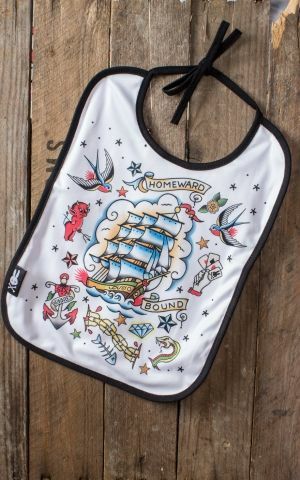 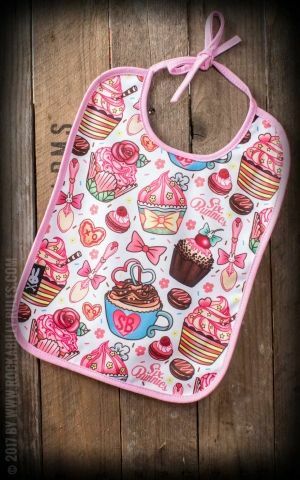 The perfect bib by Six Bunnies for little sailors. Decorated with stripes and an anchor design in oldschool look. 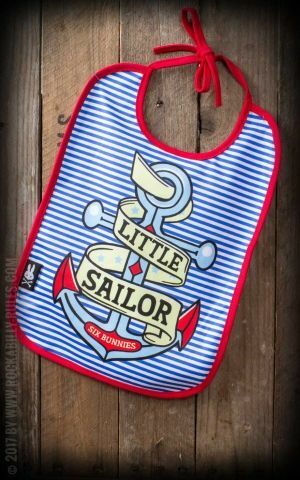 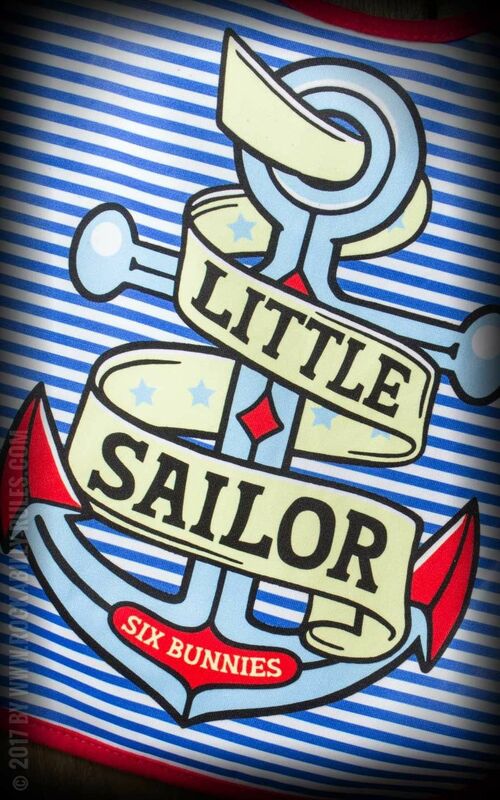 Get the bib 'Little Sailor' by Six Bunnies for young rockabillies. 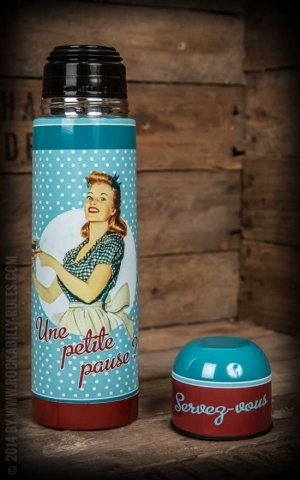 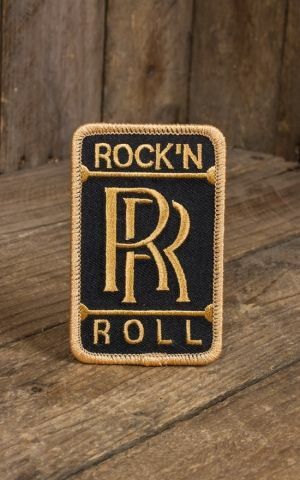 Find more clothes and accessoires for kids here.